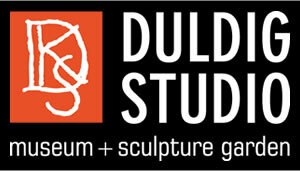 Visiting The Duldig Studio is a unique experience that offers remarkable insights into the lives and works of sculptor Karl Duldig (1902-1986) and his artist-inventor wife, Slawa Horowitz-Duldig (190-1975) two of Australia's important 20th Century artists. Slawa was inventor of the first modern compact folding umbrella Flirt in 1928. The Not For Profit house museum comprises a former residence with original Modernist art and furnishings, sculpture garden and working artists' studio left substantially intact by the Duldig family to inspire your creativity. Karl and Slawa's journey of migration and settlement parallels their creative lives and works, and included Vienna, Singapore, Tatura Internment Camp and Melbourne - St Kilda and East Malvern. Sculptures in bronze, stone and terracotta are on display in the otherwise typical suburban Californian Bungalow style house and garden. Paintings, drawings and decorative arts are also on display including sophisticated rooms of rare 1930s Modernist furniture from Vienna. The artists' studio continues with bronze castings and Clay For Kids - an education program by resident sculptor Stefan Damschke recognised by industry peers for artistic excellence. A changing program of exhibitions tells the stories of this nationally significant and internationally represented collection.